The Vidsys team is excited to announce our latest entry in our blog series – Integrations & Connectors Update – where we highlight new connectors and integrations that are available for our technology platform. Our Converged Security and Information Management (CSIM) software has the ability to integrate any type of software or physical hardware technology with our system. 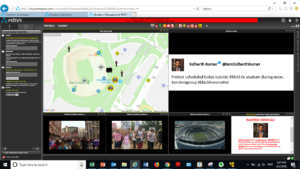 Using Vidsys’ CSIM Platform, security organizations can integrate and analyze information from traditional physical security devices and systems, and resolve situations in real time. Vidsys ACS connectors integrate 3rd party Access Control Systems with the Vidsys Converged Security & Information Management (CSIM) software. This integration allows events detected by the integrated access control managed sensors and card readers to be relayed to and annunciated by the Vidsys CSIM platform. It also allows CSIM operators to control discovered devices that are connected to the access control system. The connector automatically maps the access control system event types to standard CSIM Situation types and translates Vidsys CSIM software command syntax to that of the third-party access control system. CSIM operators can also easily display the access control history and location of any badged holder configured within the access control system. The Vidsys operator needs no specific card holder information and simply searches using part of the card holder’s name. An up to date list of results is displayed directly within the Vidsys user interface. Alarm logs for devices can also be accessed. Vidsys offers a growing list of connectors that enable integration between the Vidsys CSIM platform and other industry-leading converged and physical security products. If you would like to find out more about this integration or other integrations, contact us for more information or a demo. This entry is part of a blog series on Integrations and Connectors. You can revisit previous entries here. Vidsys customer, DP World London Gateway sea-port, was recently interviewed by Security Management Magazine’s Podcast about its comprehensive security program, which is integrated and managed by Vidsys’ Converged Security and Information Management (CSIM) platform. London Gateway Harbour Master & Head of ISPS Security, Colin Hitchcock, was tasked with finding a new integration and management platform that could pull in numerous physical and IT security sources and create an intelligent situational awareness platform. “When looking for a system, I asked myself ‘Are they flexible and can they alter the platform to fit our needs?’” That’s why Hitchcock was thrilled when they found Vidsys. CSIM is an integral part of London Gateway’s security system, and recently helped expose port intruders. The situational awareness system worked exactly as planned when the situation went from hypothetical to reality. A Vidsys end-customer since 2016, London Gateway has also partnered with Vidsys on recent expansion projects. The trade-enabling port operator selected Vidsys due to its open platform architecture and vast agility for future growth and innovation while being able to manage all sensors and systems from one unified view. The port is a 2 square mile area surround by an 11-kilometer fence line, creating a massive infrastructure to be monitored and managed. Through highly automated technology, Vidsys helps the port run all data through a 24/7 Security Control Room, with a separate control room reserved for elevated security alerts. A particular feature of the CSIM platform that the Hitchcock uses frequently is the innovative smart reporting capability. 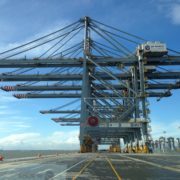 Vidsys CSIM also helps DP World London Gateway integrate Access Control, CCTV, Perimeter Intrusion Detection (PIDS) as well as Fire detection and Building Management and custom reporting capabilities. Vidsys meets all compliance standards and adheres to various security standards, including the International Port Security Code and Homeland Security protocols. You can listen to the full Security Management podcast interview here. With the Global Security Exchange (GSX) Conference a few days away, Vidsys is excited to be an active part of the many presentations, demos and the conversations around innovation in the security space. After 63 years as the ASIS Annual Seminar and Exhibits, the newly rebranded GSX is the security industry’s flagship event. The organization expects to attract 550 exhibitors and more than 20,000 operational and cybersecurity professionals from all over the globe. The exhibit hall will be transformed into a learning lab environment featuring thousands of security products, technologies, and service solutions, as well as immersive learning opportunities designed to connect the current threat landscape, as well as emerging risks, with leading solutions available in the marketplace. The Xcelerated Exchange Stage, where Vidsys Founder and CEO James Chong will speak, provides a forum for the critical discussions that need to take place between practitioners and solution providers to proactively address the current and future security landscape. As we approach the conference, here are 3 top trends we expect to see at GSX this year. Drones Take Video Surveillance to the Next Level – Drones, formally known as Unmanned Aircraft Systems (UAS), are changing the face of security surveillance. New cameras, sensors and safety technology, in addition to a workable regulatory environment, make drones are not only practical but the preferred method for large venue surveillance. Artificial Intelligence (AI) Takes Center Stage – Next-generation AI and video analytics technology are going to be center-stage at GSX. AI technology innovation will help further expand the application and use of AI and video analytics to solve real-world challenges. 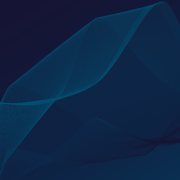 AI can help facilitate sophisticated risk or incident detection and automatic notification, which can support an overall security program immensely. To learn more about Vidsys’ presence at the conference, including Vidsys CEO James Chong’s presentation about CSIM (September 25 at 11 a.m. PDT at the Xcelerated Exchange Stage, GSX Show Floor) and the Intelligent GSOC hosted by Vidsys with Micro Focus (September 25-27, Booth 1171), click here. 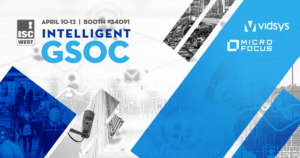 If you will be at GSX this year and are interested in receiving an in-depth demo of our Intelligent GSOC with Vidsys and Micro Focus, you can get more information and sign up here. We’re excited for another exciting conference with ASIS at the newly re-branded Global Security Exchange (GSX) Conference this year! 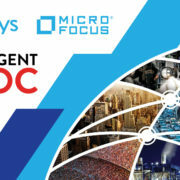 Vidsys will be partnering with Micro Focus to bring back the Intelligent Global Security Operations Center (GSOC), providing conference attendees with hands-on demonstrations and an interactive experience. Additionally, GSX has selected our CEO James Chong to speak about Converged Security and Information Management (CSIM) on the Xcelerated Exchange Stage, where he will share how the market is shifting and PSIM is evolving to the future of security – CSIM. Interested in where we’ll be during GSX? 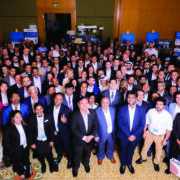 Read on to find out about our presence at this newly re-branded show! 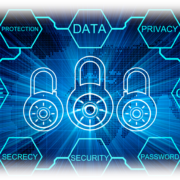 Networked systems and applied technologies are presenting security management professionals with rising levels of information outputs and data, which provides unparalleled levels of insight for any number of commercial, industrial and government users. Unfortunately, these systems also present major security vulnerabilities. Their networked capabilities means that it has a higher need for better understanding and vigilance when it comes to information security. 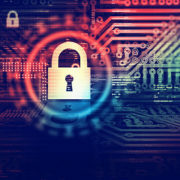 To address these challenges, Micro Focus and Vidsys have jointly developed a solution – the Intelligent Global Security Operations Center (GSOC). Interested in signing up for a one-on-one demo? Click here. As part of the Xcelerated Exchange Stage on the GSX show floor, our CEO and founder James Chong will be speaking about the rise of CSIM. The goal of the Xcelerated Exchange Stage is to foster critical conversations, specifically between security practitioners and representatives of the manufacturer and supplier community. Guests can expect to hear James to discuss the evolution of Physical Security Information Management (PSIM) to CSIM. CSIM extends software abilities beyond physical security by capturing and correlating data from multiple IT-security systems and information management systems. 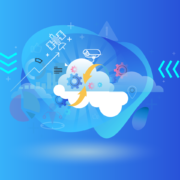 This advanced platform can be leveraged to support Smart City and IoT applications, in addition to a variety of use cases such as supply-chain systems, building management, logistics management, and manufacturing. These capabilities go beyond security and risk management by offering insights that can drive intelligent business decisions. Over the past 10 years, Physical Security Information Management (PSIM) has evolved tremendously outside of categories such as Video Management Systems (VMS), Access Control and Intrusion Detection, and companies worldwide have been using PSIM capabilities as a way to differentiate. Fast, integrated platforms offering real-time data and quick-reacting security solutions lay the foundation for this new digital movement. But as the security market continues to grow more crowded, creating reliable value-adds is an ongoing challenge for both vendors and integrators. Legitimate PSIM is intelligent software that converts massive amounts of data into meaningful and actionable information by filtering and correlating the data based on time, location, duration, frequency, and type, and according to recent research, is estimated to be worth 112.43 Billion USD by 2021. 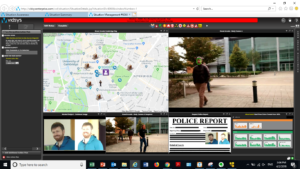 While the definition of PSIM is often misunderstood as an integration platform or a command and control platform, the true nature of PSIM enterprise software is its capability to connect to other systems and subsystems including sensors and security and non-security related devices. As PSIM has gained awareness globally, the demand for the software has increased and is driving large-scale projects, including many requests from U.S. federal government agencies. With customer and business process needs constantly evolving, software platforms must advance as well. CSIM extends software abilities beyond physical security by capturing and correlating data from multiple IT-security systems and information management systems. With capabilities for large-scale, widely dispersed customers, this advanced platform can be leveraged to support Smart City and IoT applications, in addition to a variety of use cases such as supply-chain systems, building management, logistics management, and manufacturing. CSIM can support customers globally where enhanced Enterprise Data Visualization and Enterprise Business Intelligence are integral features for reporting in real-time. Overall, the capabilities go beyond security and risk management by offering insights that can drive intelligent business decisions. Interested in learning more about a CSIM solution for your business? 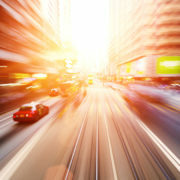 Check out the Vidsys CSIM solution here. Vidsys recently had the privilege of hosting the Converged Security Operations Center (SOC) at IFSEC 2018 in London. 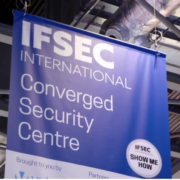 IFSEC International is Europe’s leading security event, bringing together 27,000 security professionals from around the globe with a commitment to co-creating the future of integrated security. The Converged Security Center demonstrated how the latest networked technologies can provide security professionals with actionable business intelligence. With groups of over 40 people at a time, the Vidsys team gave hourly presentations to those interested in learning more about what converged security can do for their organization. Visitors received advice on how to secure increasing volumes of information through the synergy of physical and cybersecurity technologies. Two of Vidsys’ partners, Micro Focus and Unisys, were part of the Converged SOC as well. 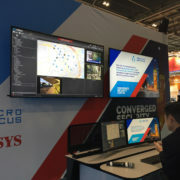 Micro Focus demonstrated Artificial Intelligence (AI) and Machine-to-machine (M2M) learning integrated with the Vidsys platform, while Unisys demonstrated how cybersecurity solutions can integrate with the Vidsys platform to provide holistic security for organizations. Vidsys Founder and CEO, James Chong, took to the main stage as a keynote speaker, presenting how the newest cyber-physical security technologies can achieve converged security resilience in front of a massive audience of security professionals. Watch the keynote presentation here. IFSEC 2018 proved to be a successful week for the Vidsys team! We enjoyed meeting security professionals from around the world, making connections, and sharing knowledge of converged security through hands-on demonstrations, and we look forward to attending again next year.